The Committee on the Status of Women was voted into existence as a standing committee in March 2018 at the general membership meeting during the 2018 Biennial Conference in Cincinnati, Ohio. During that meeting, the President of NASA appointed the committee's first Chair. Email any of the CSW members at the addresses linked below. Once an email is received, it will be discussed with the CSW and a timely reply will be sent. Fill out this feedback form. Note that the feedback form can be submitted anonymously; however the CSW encourages identification as we appreciate the opportunity to reply directly to you to share the result of the feedback discussion and ask any follow-up questions that may prove helpful. Wish to be involved with CSW and support its mission and initiatives? Fill out this volunteer form to let us know how you're willing to help and the specific skills you can offer. , Product Manager, D'Addario & Company, Inc. 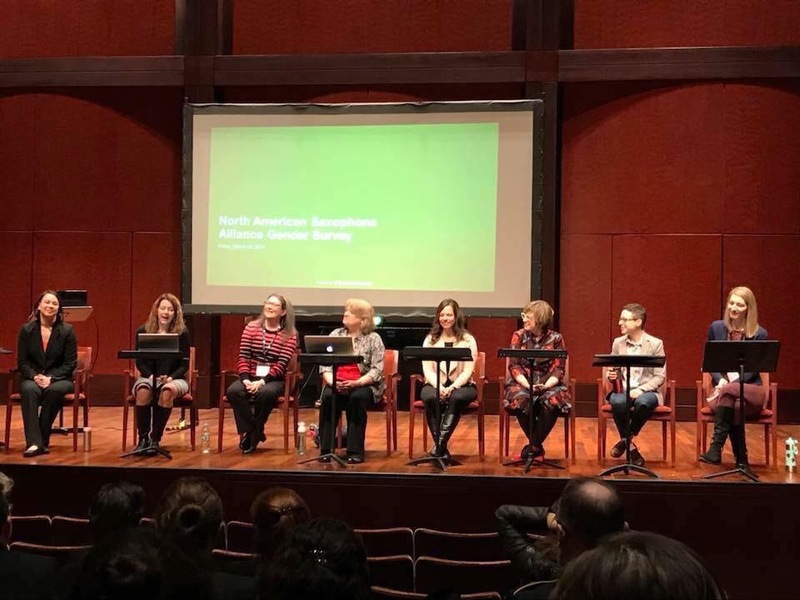 The Committee on the Status of Women (CSW) promotes gender equity in areas related to saxophone, supports the professional development of women in the North American Saxophone Alliance, and serves as a repository of resources and information about women and saxophone. 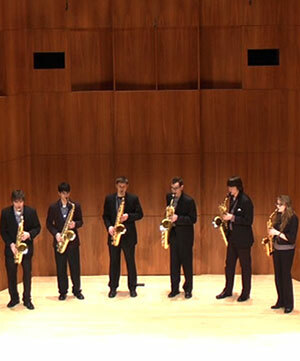 The CSW serves the North American Saxophone Alliance in matters that are critical to all saxophonists. Mentoring Program: With the goal of strengthening support for the professional development and mentoring of women in the North American Saxophone Alliance and our field, the Women's Mentoring Program is an annual bedrock initiative of the CSW that pairs mentees and mentors within our organization. This annual program runs from January through December each year. Applications for mentees and mentors open in the early fall each year, and mentee/mentor pairs for the upcoming year are announced in December. "CSW Presents": Members of the CSW will make presentations at all NASA Regional and Biennial Conferences to present the CSW's work to date and to gather feedback and suggestions on our current and future initiatives from the NASA membership in attendance at those presentations. 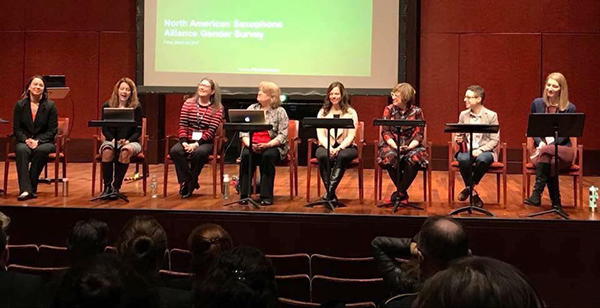 Digital Resources: CSW plans to develop resources and live databases to highlight the accomplishments and contributions of women in the saxophone field, including performances, recordings, commissions, scholarship and publications, teaching positions at all levels, along with geographical locations, as well as compositions for saxophone by women.